How Far is Maruthi Sindur Sand Shore? Maruthi Builders Group Presents the perfect weekend destination that serves up to to all the luxury and excitement a weekend must offer. 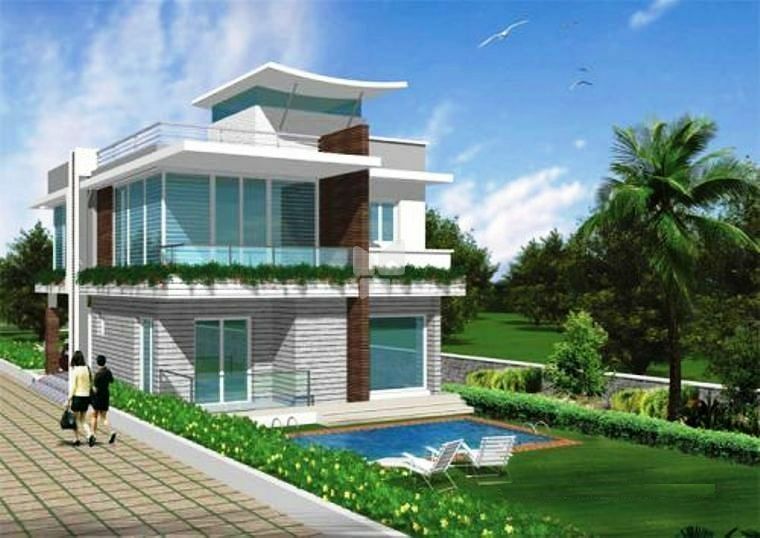 Sindur Sand Shore is a high end project thatcarves out the holiday spirit within you. This project is at vadanemalli, near crocodile bank. The 3300 sq.ft villa is like a built-in exclusive community with 24 villas and individual lawns which can be used as a party area. Sindur Sand Shore is located before Jade Country Club and the upcoming Park Sheraton, for the best of both worlds. This is a perfect informal or formal meeting spot, as corporate executives can host their guests at this exclusive community. Come and feel alive as Maruthi Builders Group takes you to the Road to Sea. Living, Dining & Passage with Engineered Marble. Master Bedroom will have Laminated wooden flooring & Other rooms Premium Vitrified Tiles. Granite counter top with Double Bowl Quartz sink and exhaust provision. Premium 2' x 1' dado above kitchen slab up to 2' height. Living, Dining, Bedrooms and passage walls Emulsion paint on wall Putty. Balconies, Service areas and Utility area with External paint. Main Door - Teak wood frame with Moulded shutter door. Interior Flush Doors(one side OST). Toilet CP Fittings will be of kohler make or equivalent. Sanitaryware will be of white color kohler Collection or equivalent in all toilets. Toilet will have 2' x 1' Ceramic wall and Antiskid ceramic floor tile. All internal circuit in PVC tubes make with ISI Mark. ISI mark with good quality wiring and switches will be used for entire building. A/C point provision in all Rooms and Living Area. 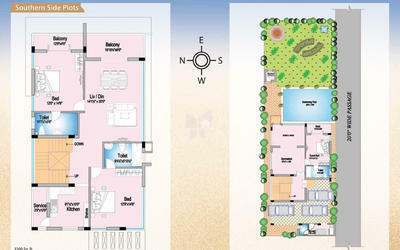 Telephones & Television points in Living & all Bedrooms. Swimming Pool with Change rooms, Lawn area, Black top Road.